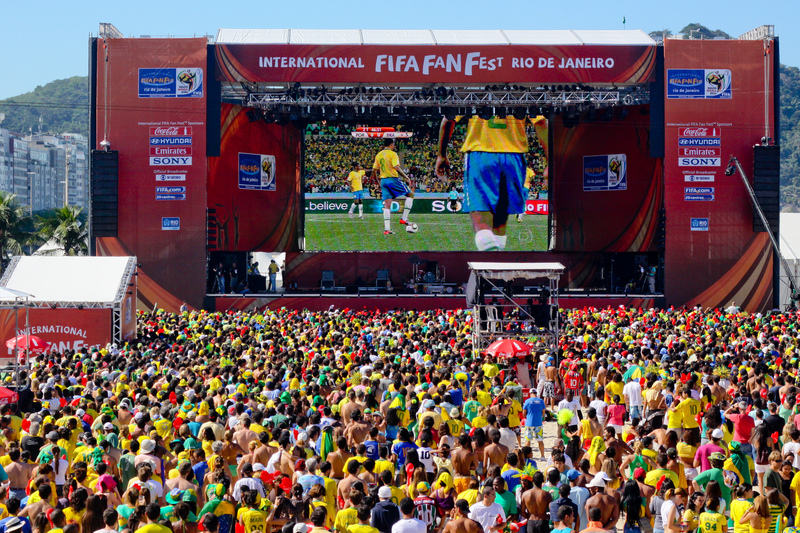 The twelve host cities for the 2014 FIFA World Cup will offer fans the chance to watch games in special locations known as FIFA Fan Fest. The FIFA Fan Fest first became part of the official World Cup programme in Germany in 2006, following the huge success of unofficial public viewing events in Korea during the 2002 cup. The success of the FIFA Fan Fest programme in Germany led to the concept being developed further for the 2010 World Cup, when not only the South African Host Cities but also six international venues hosted an event which welcomed over six million football fans over 31 days. This entry was posted in Brazil, World Cup 2014 and tagged 2014, Belo horizonte, Brasilia, Brazil, Cuiaba, Curitiba, Fortaleza, Manaus, Natal, Porto Alegre, Recife, Rio, Salvador, World Cup by Critical Divide. Bookmark the permalink.